The content we've been publishing over the last few weeks has been focused on the path for digitally transforming a business by deploying 21st-century marketing techniques designed for generating new and sustainable sources of web traffic. The competition for web traffic is intense and, a poorly designed site lacking useful content, will neither attract nor sustain traffic. Furthermore, if the content has been created without a foundation of relevant, high quality market and business intelligence, then it's not likely to achieve the required standard for successful traffic development. Think for a moment about the 80%+ of internet users searching or researching for information before they buy. If your website is not providing information that may be related to their search, not only is it failing to cater to 80%+ of web traffic, but, more importantly, it's failing to demonstrate you and your business have the knowledge necessary to be helpful to researching buyers. Failing to satisfy the needs of researching buyers means, when they are finally ready to buy, they will be very unlikely to return to your site to do so. By investing in high quality, relevant and authoritative content, it's possible to build trust and confidence with site visitors. In building trust and confidence it will be far more likely a visitor will return and eventually be converted to a customer. How much information do small business operators have access to? In the internet era, as we all know, there is an infinite amount of information available and, it's basically free to access. We are in a period of information overload. How much market intelligence do small business operators have access to? Accurate and reliable market information is more difficult to access because it has to be filtered from the vast pool of information that's available. In order to filter information that's been gathered, and to determine whether or not it's useful, you have to know the right questions to ask, and whether or not the answers received are accurate. In other words, information is only information and, until it's been verified by someone with sufficient authority and understanding, it cannot be considered intelligence. How much business intelligence do small business operators have access to? The application of business intelligence to large amounts of data is very different to the gathering and interpreting of market intelligence. Usually, it's necessary to apply sophisticated algorithms to the data in order to extract actionable intelligence. Most often it's beyond the means and capabilities of small business operators to, either access the data or, to develop and apply the algorithms necessary to extract knowledge from such massive data sets. Although, the term "big data" is increasingly finding its way into the mainstream, as software tools to extract information become more widely available, small business operators must develop a better understanding of the potential value of data, before they can start to take advantage. 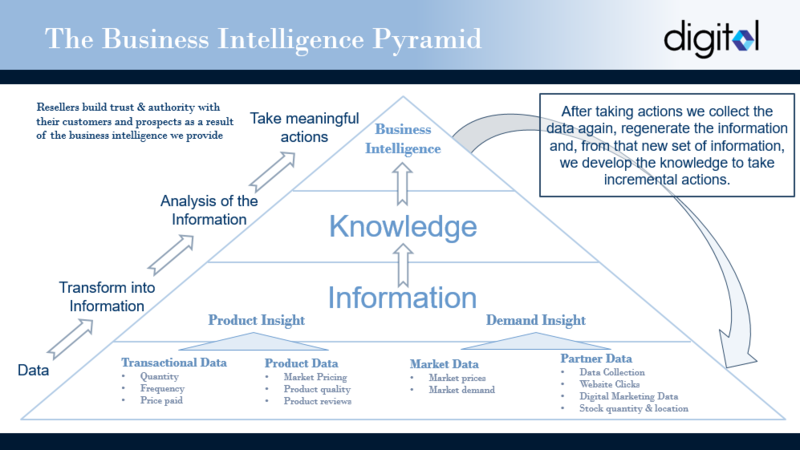 What's the difference between market intelligence and business intelligence? There's a big difference between the two, market intelligence confines itself to data gathering, whereas business intelligence goes further, in terms of using the data to help develop action plans necessary to exploit its potential. How much do small and medium size enterprises use business intelligence to improve their online authority? Because the application of business intelligence is generally outside the capabilities of small business, then it's generally not possible for them to apply business intelligence for the purpose of improving either their online authority or their value proposition. 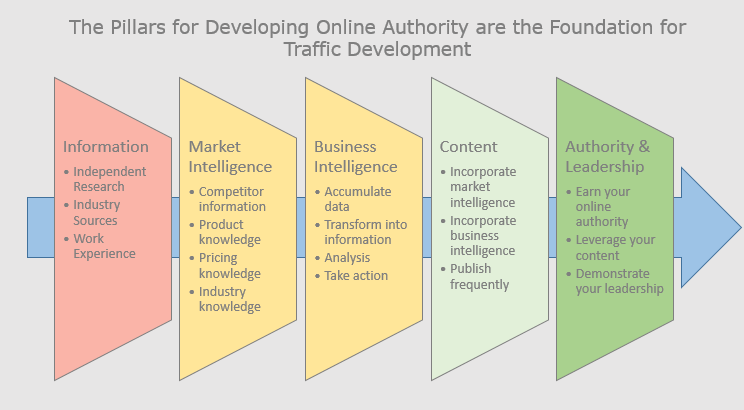 How does market intelligence potentially improve online authority and why is it important? By investing in trusted sources for market intelligence a business owner can use the intelligence to demonstrate authority and leadership in its field and then, in turn, develop an engaged and relevant audience. In our online digital era, it's vitally important to demonstrate a position of authority in order to build trust and confidence in the brand, and to develop site traffic for the purposes of conducting business. To become a player in, and survivor of, the modern digital era, an online presence must be developed. 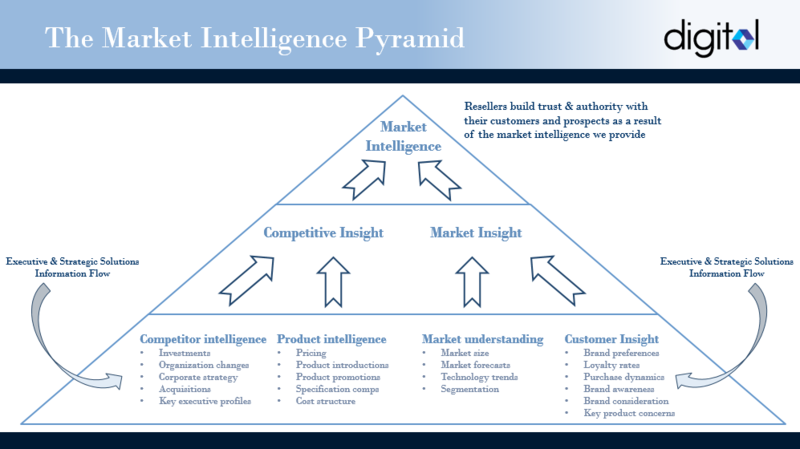 In order to do so, investments must be made in content built upon the pillars of market and business intelligence. If this can be successfully achieved then it's possible to develop sustainable web traffic. In an upcoming blog we'll relate this business transformation philosophy to the circumstances of a typical small to medium size office products and supplies reseller. For additional reading on the state of the office products and supplies industry, please click on the button below and download a free copy of our e-book containing valuable information on the industry and how to take advantage of the conditions for profitable sales growth.